Expect the unexpected at Quay Art ! A contemporary art gallery offering a modern diverse range of original paintings, collectible limited editions, innovative ceramics, dazzling jewellery and stunning sculpture by leading British and international artists. 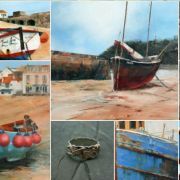 Quay Art is an independent family run gallery and an exciting new addition to Padstow in Cornwall. 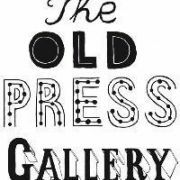 With close relationships to a number of fine art publishers as well as individual artists, this large gallery offers a very diverse range of contemporary art. 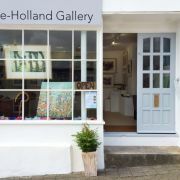 This includes original paintings, limited editions, glass and bronze sculptures as well as handmade jewellery and ceramics from local, national and international artists who are often exclusive to Quay Art in Cornwall. So if you are looking for something different whether a traditional landscape, abstract mixed media or urban pop art this modern gallery is well worth a visit particularly as they take great pride not only in the variety and quality of their art but also the personal service they provide to ensure you are satisfied with your purchase. The staff are very helpful and advice is always forthcoming so you can make an informed decision when either trying to match your decor, make a statement in a particular room or buying art for investment. Quay Art offers a Try Before You Buy service for local art lovers as well as a personal Wedding Gift List ; Commissions Service ; Payment Plans and Interest Free Finance to spread the cost over time ; as well as Free Delivery nationwide. Open every day throughout the year, there is now plenty of opportunity to browse a modern and extraordinary range of art for your home all at one convenient destination in Padstow or online to view at your convenience. Make sure you visit Quay Art soon !